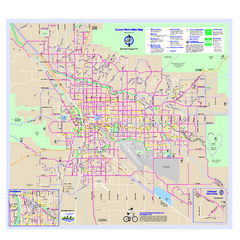 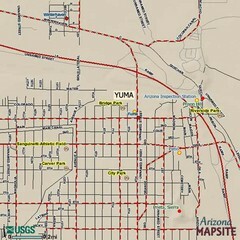 Bike route map of the city of Tucson, Arizona. 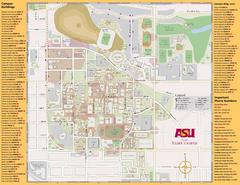 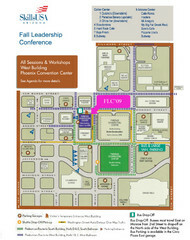 Campus map of Arizona State University. 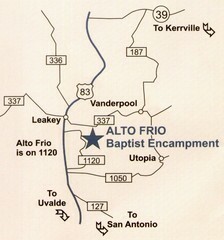 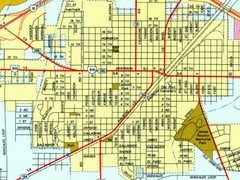 Main campus, Tempe is shown. 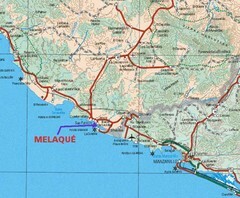 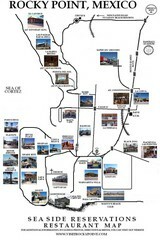 All Buildings are included. 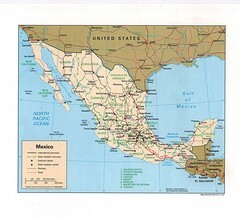 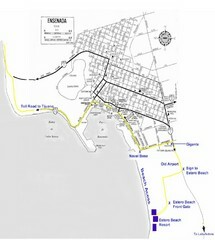 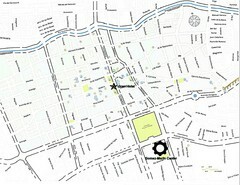 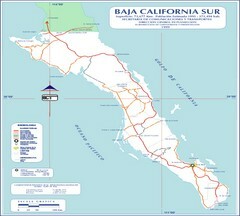 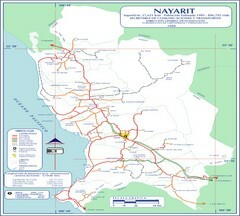 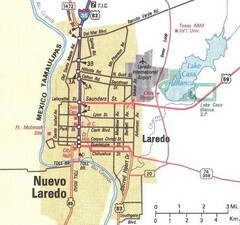 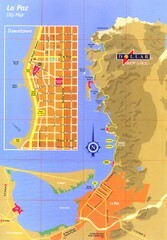 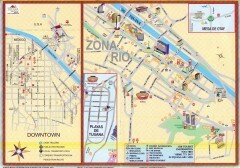 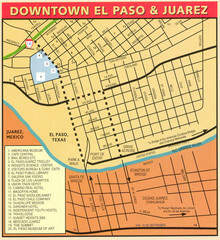 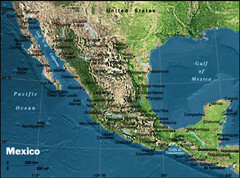 Shows major streets in downtown and Zona Rio of Tijuana, Mexico. 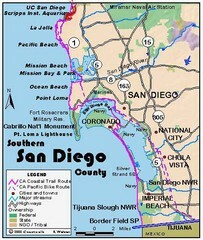 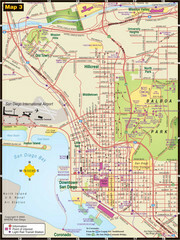 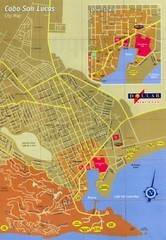 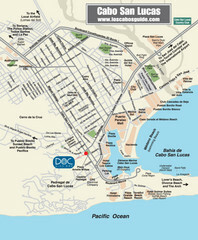 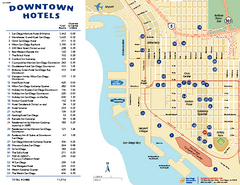 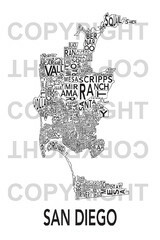 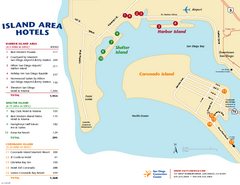 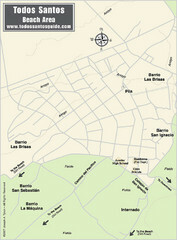 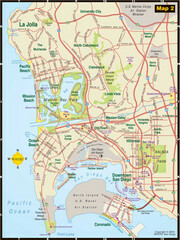 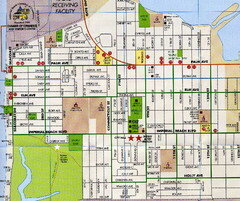 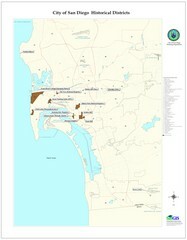 City map of San Diego, California with historic district locations.